"Shostakovich and Polish Modernism" is the motto of the 9th International Shostakovich Tage Gohrisch (21.-24.6.2018), which in addition to Dmitri Shostakovich also focuses on the composers Witold Lutosławski, Krzysztof Penderecki and Krzysztof Meyer. The Gohrischer Konzertscheune features central chamber music, choral and orchestral works by all four composers. In addition, three world premieres and three German premieres are on the program. The Polish composer Krzysztof Meyer, who has always been associated with the festival, has composed a new string quartet (No. 15) commissioned by the Shostakovich Days, which will be premiered in a chamber evening by the Lutosławski Quartet. With a short impromptu for viola and piano, which will be premiered by violist Nils Mönkemeyer and pianist Rostislav Krimer, the latest sensation in Shostakovich's oeuvre in Gohrisch will also be heard for the first time. The two-page manuscript from 1931 was discovered only a few months ago in a Moscow archive. 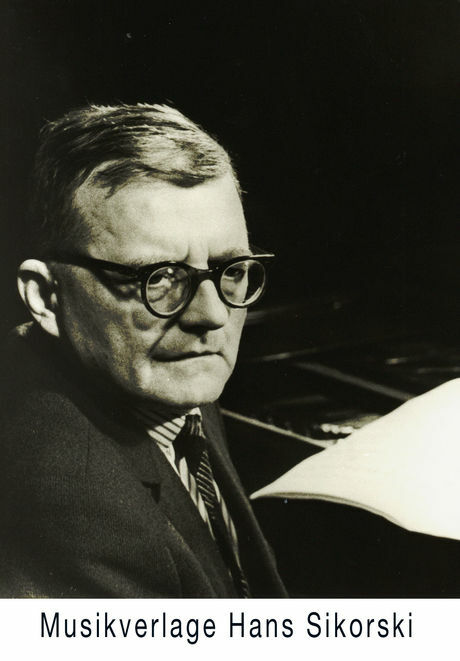 "For the second time we have been able to present a world premiere of Shostakovich in Gohrisch," the festival organizers are pleased to announce. "After the lingering fragments from the opera 'Die Nase' at the last festival, we are now looking forward to this short chamber piece for viola and piano." In addition, the piano duo Grau Schumacher will make three arrangements by Shostakovich first heard in Germany. For example, Shostakovich's arrangement of the "Psalmens Symphony" by Igor Stravinsky, the scherzo from the Symphony No. 10 by Gustav Mahler, and the Third Symphony by Arthur Honegger "Liturgique" for piano for four hands or for two pianos. Music for two pianos is also on the program of the opening concert on 22 June, where Denis Matsuev - currently Capell-Virtuos of the Saxon Staatskapelle Dresden - and the young pianist Alexander Malofeev will perform Shostakovich's Concertino op. In the last part of this concert, Matsuev will for the first time broaden the stylistic spectrum of the festival through jazz improvisations on themes by Shostakovich. With a choir concert, the Vocalconsort Leipzig under the direction of Franziska Kuba in Gohrisch from his business card. In addition, numerous musicians of the Saxon Staatskapelle Dresden are again involved in the festival program - the orchestra will once again ring in the festival with a special concert at the Semperoper (21 June) and with the newly founded initiative "kapelle21" under the direction of Petr Popelka, will also design this Final concert in the concert barn.